In any city, there are some buildings that owners essentially abandon or fail to properly maintain. Unfortunately, abandoned buildings put everyone at risk. Abandoned buildings often fall into a state of disrepair and are inviting targets for trespassers who may create dangerous mischief in the empty spaces. Unfortunately, according to 7 News Boston, homeowners in Fitchburg recently found out just how dangerous abandoned buildings can be. 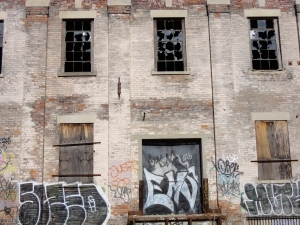 Our Boston injury attorneys urge everyone who is living near an abandoned building to be aware of the potential risk that the building presents. Owners of these buildings who fail to take care of their property should also be aware that they could potentially face legal liability if something goes wrong in their space. As 7 News Boston reported, an abandoned apartment building in Fitchburg Massachusetts started on fire on a bitterly cold Friday night. The building was a three story building and neighbors reported that there was always someone in the building although it had been abandoned. The building had been secured, according to the Fitchburg Fire Chief, and there was neither power nor gas supplied to the space. As such, the Fire Chief told 7 News that the fire was suspicious. The family living next door to the fire was forced to leave their home and firefighters lost the struggle to keep the fire contained after a side wall of the abandoned apartment collapsed. The side wall fell into a neighboring home and the entire house burned down. While fires in abandoned buildings are always dangerous, the risks may be even more severe during winter months. As 7 News Boston reports, fire and ice is a dangerous combination because freezing temperatures can freeze water that are used to put out flames. Further compounding the problem is the fact that firefighters are not able to work outside for as long as they normally can due to the bitter cold temperatures. The ice, which is slippery, also presents a risk of firefighters slipping and falling. With all of these factors, a fire in an abandoned building could become even more of an issue during wintertime than it is in warmer months. Unfortunately, those who lived near the abandoned apartment and who lost their homes commented to 7 News that they were also forced out into the cold with nowhere to go as their homes burned. Those who lose their homes to a fire that starts in an abandoned building may take legal action against the owner of the building. A building owner cannot simply walk away from his responsibility or his obligations; he has a legal duty to make sure that it does not present a hazard. Unfortunately, sometimes it can be difficult to find an owner of an abandoned building or the owner may have no insurance, money or assets so getting a judgment against the owner would not be helpful to the victims of the fire since there would be no way to collect on the judgment. In cases where it is not possible to take legal action against a building owner, those who are victims of a fire may wish to consult with an attorney for help identifying other potential responsible defendants or for help in negotiating with their own insurance companies to get the financial support they need to rebuild. If you or a loved one has been injured in a fire in the Greater Boston area, contact the Law Offices of Jeffrey S. Glassman, LLC for a free consultation. Call 1-877-617-5333.